Once upon a time, a rock skid, made a spark, and humankind learned to create fire. This is the fifth installment of our ARKit series. 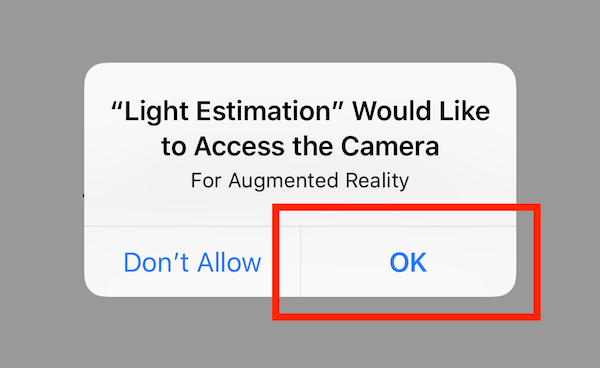 Today, we will walk you through how to implement light estimation in augmented reality with ARKit. 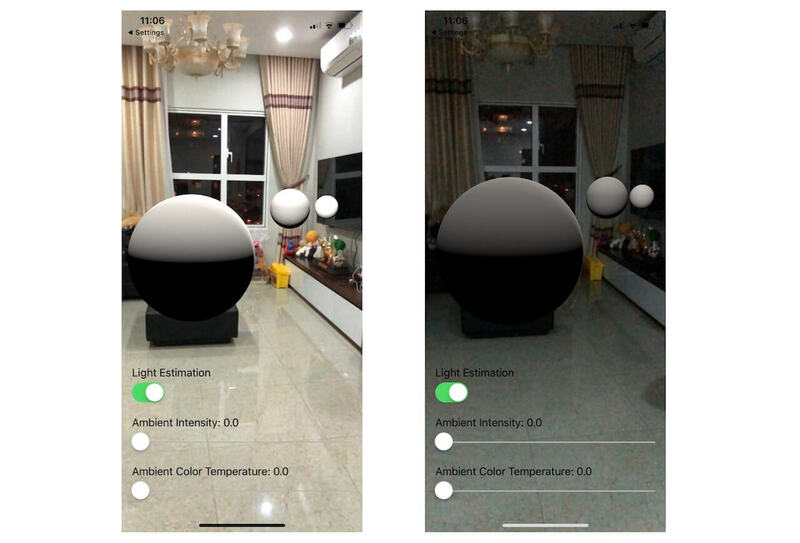 Light estimation enhances your graphics’ blending with the real world in AR — with shading algorithms utilization. When your app renders graphics, you can use the rendering information and shading algorithms to match your camera’s captured real-world lighting conditions with your scene graphics. I hope you’ll enjoy this ARKit tutorial. And hopefully, this ARKit tutorial can also spark up an amazing idea like that rock. 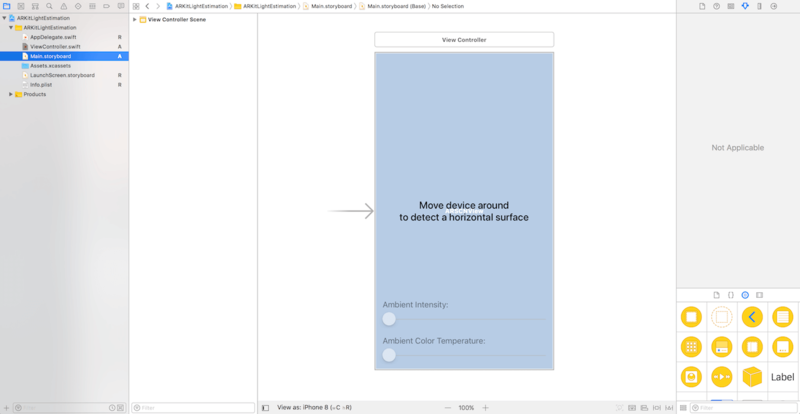 This ARKit tutorial builds on previous ARKit tutorials knowledge. If you happen to get stuck anywhere, feel free to check out the ARKit tutorial series to help you out. Place a sphere node on top of a detected horizontal plane. Finally, implement light estimation inside a SceneKit’s scene rendering method. First, download the starter project here. 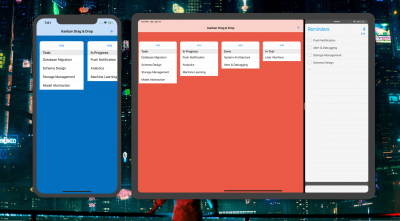 I have already built the UI of the app and created the action method of the buttons. Build and run. You should be prompted to allow camera access in the App. Tap OK to allow camera access in your App. Take in a position parameter. Create a sphere geometry with a 0.1 CGFloat radius. Create a sphere node with the sphere geometry we created earlier. Set the sphere node’s position to the position argument value. Add the sphere’s radius value onto the sphere node’s y position value so that the sphere is right on top of detected horizontal surfaces. Increase the sphere node’s y position by one. This way, the sphere node will to sit one meter above detected horizontal surfaces. In brief, this method create a sphere and place it on top of a detected horizontal plane. First, we create a SceneKit light object (i.e. SCNLight) with its type set to omni. An omni light type illuminates a scene from a point in all direction. There are other light types including directional, spot and ambient. Next, we set the light object’s intensity and temperature property value to zero. In order to use the light object to illuminate the scene, we create a light node object and set the light source to the light property of the node. We also set the light node object’s y position to one meter above its parent node. This method calls the getLightNode() method to get a light node and add the light node to the given node. We also append the light node to the array of light nodes. self.ambientIntensityLabel.text = "Ambient Intensity: \(ambientIntensity)"
self.ambientColorTemperatureLabel.text = "Ambient Color Temperature: \(ambientColorTemperature)"
The codes above runs on the main thread and altogether sets the light nodes’ light temperature property value to the slider’s sender value. Cool! Let’s build and run the project. Point the device’s camera to a horizontal surface. Upon a horizontal plane detection, you should be able to see a floating sphere. Feel free to play with the sliders to get a feel for the light’s intensity and color temperature properties. This light estimation stack view contains a UISwitch object as well as a UILabel object. We set the light estimation stack view to show when detectedHorizontalPlane has been set to true. On light estimation switch value change, we update the light nodes’ light intensity and temperature properties value to their respective slider value. Okay, what’s left is the light estimation implementation. First things first, why light estimation? As I mentioned at the very beginning of this tutorial, light estimation enhances your graphics’ blending with the real world in AR. You want to make those graphics match the real-world lighting conditions. For instance, if you dim the lights of your room, you want to reflect the light condition on the virtual object to make it more realistic. Make sure the light estimation switch’s state is on. Safely unwrap the current scene view sessions frame’s light estimate. Loop through the light nodes. Safely unwrap the light node’s light property. Set the light’s intensity property to the ambient intensity constant. Set the light’s temperature property to the ambient color temperature constant. The renderer(_:updateAtTime:) method gets called exactly once per frame in SceneKit before any animation, action evaluation, or physics simulation. Light estimation is to be constantly applied to our scene. Hence,the updateLightNodesLightEstimation() method is called inside of the renderer(_:updateAtTime:) method. As with all UI updates, it is best practice to do the UI updates on the main thread. 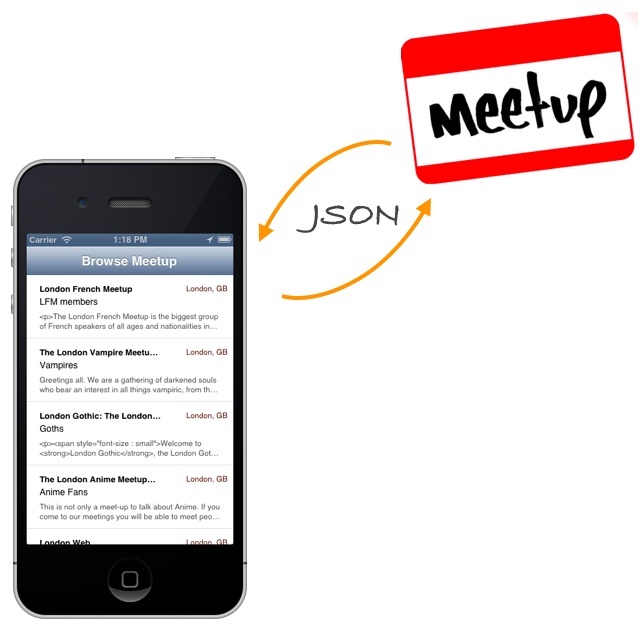 We call the updateLightNodesLightEstimation() method inside the asynchronous method. That’s it! Now it’s time to try out the complete demo. Build and run the project. Upon a horizontal plane detection, you can switch the light estimation switch on and see light estimation in effect. You can try the light estimation by switching your lights on/off. 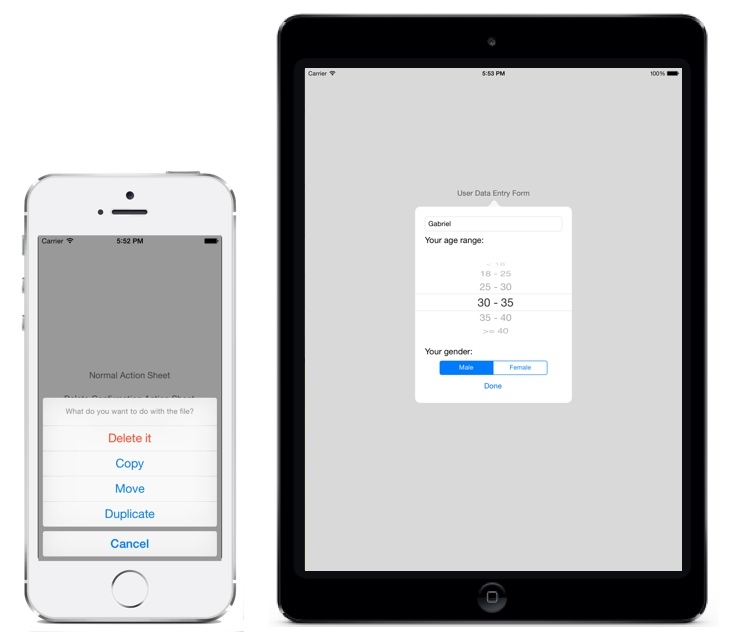 For the complete Xcode project, you can download it on GitHub. If you have any questions or feedback, please leave me a comment below.